Medicare Locals were a key feature of the Australian Government’s National Health Reform. Medicare Locals were primary health care organisations established to coordinate primary health care delivery, address local health care priorities, support from health professionals and improve access to primary care. There were a total of 61 Medicare Locals operational across Australia. Medicare Locals were replaced with Primary Health Networks (PHNs) in July 2015. 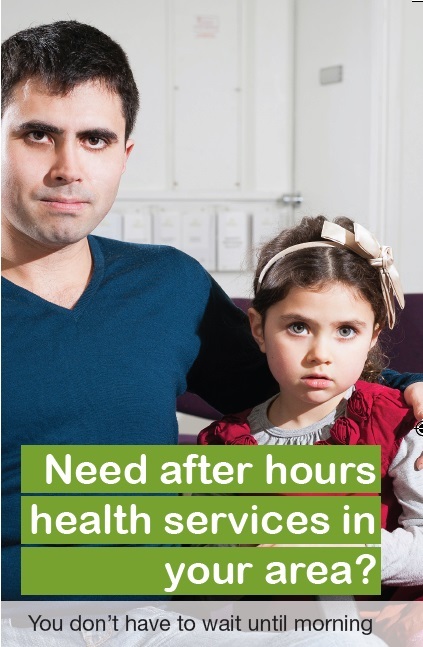 To create a public health campaign informing everyday Australians about the Medicare Local initiative. 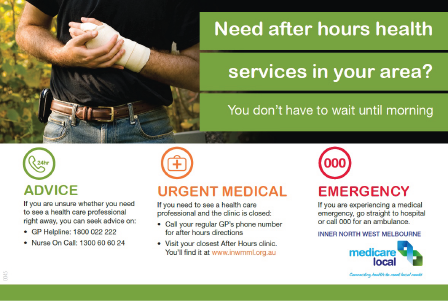 A primary objective of this campaign was to alleviate overcrowding in public hospital emergency departments by encouraging people to consider using their local after hours doctor service. 〉 A better community understanding of available resources in the local area. © Affect Media Pty Ltd 2018. All Rights Reserved.